When we think about healthy eating, we often consider what we should cut out, reduce, and avoid. However, a large component of bettering our bodies also has to do with what we make sure to include in our diets. It's a common mistake to go with a completely vegetable lunch or opt for a salad devoid of protein and carbs. Not only is this withholding essential nutrients from your body, but it will often lead to premature hunger, which could lead to overeating come your next meal or grabbing unhealthy choices to tide you over. 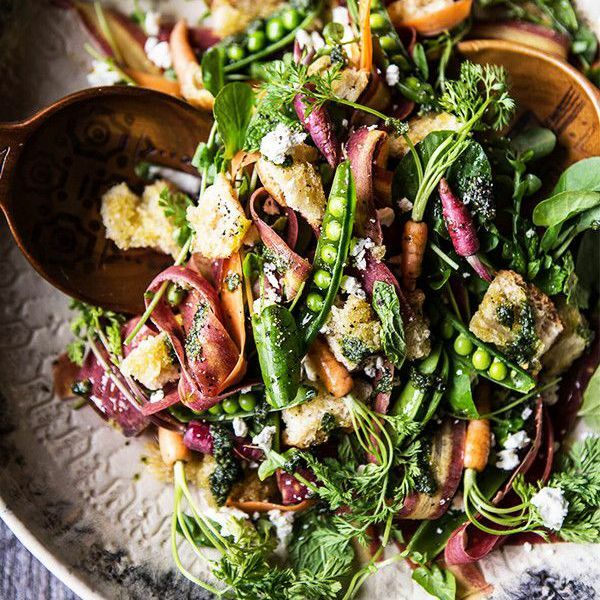 In an examination of how salads can sometimes be dissatisfying, both for your palate and your satiation, Body and Soul identified three ingredients to add to ensure you'll stay full until dinner. We've highlighted its three picks here, which can be incorporated into any meal to guarantee your nutrients and hunger pains are addressed. Protein. Protein is an essential part of fueling your day, yet so often in our attempts to be healthier, we don't get enough. While it is good to avoid overeating certain meats, get these essential building blocks through lean proteins like salmon and tuna or other alternatives like eggs. Legumes. Another delicious way to get protein, as well as fiber—especially if you're a vegetarian or vegan—is to consume your favorites from the vast variety of beans available in the market. Adding these to your meal will keep you full longer without weighing you down. Carbs. Many might be surprised to find carbs on the list, and while they're often deleted from diets they are critical to body functioning. Seek out healthy carbs like roasted sweet potato, wild rice, or grains like freekeh to round out your meal while still steering clear of nutritional no-nos like processed white bread or empty calories in prepackaged products. Looking to make this year your most nutritious yet? Shop everything you need to eat healthy in 2017.